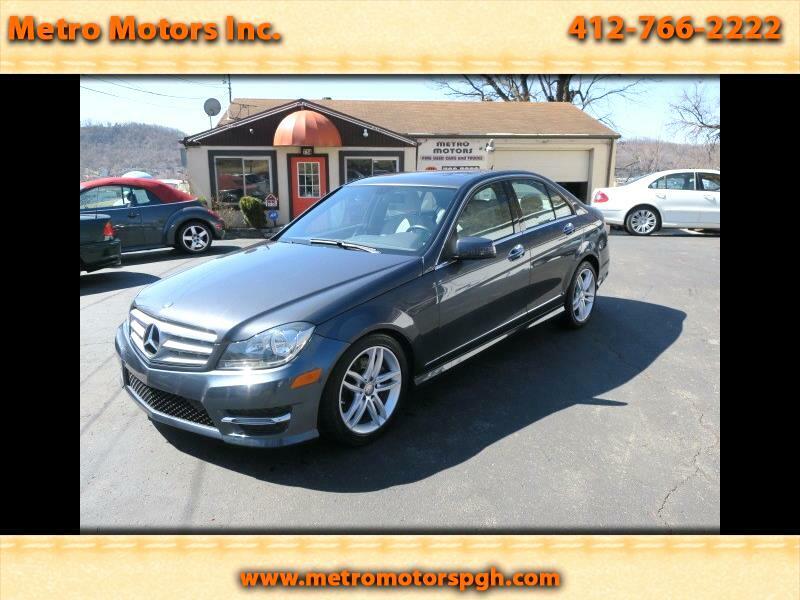 Beautiful 2013 Mercedes Benz c 300 4-Matic Sports Edition . ALL WHEEL DRIVE. Finished in awesome color combination of Sparkling Graphite Metallic, and Linen Leather Interior with Burl Walnut Interior Trim!! Garage Kept with only 48,090 Certified Miles!! 3.5 Liter V-6 Engine, Automatic Transmission. Dual Zone Climate Controls. Power Glass Moon Roof. Electric Tilt & Telescopic Leather Steering Wheel with control buttons. Has Smart Key Option. Fold Down Rear Seats. Heated, Power Seats. Premium Harmon Kardon Sound System. Bluetooth. Navigation ready for Module. 17 Inch Sport Alloy Wheels on Continental Tires. Just Serviced, Inspected, Smog Tested. Clean Auto Check History Report Showing NO ACCIDENTS OR ISSUES!! Awesome Colors, Beautiful Car! !